Last updated by kprzemek on 2018-11-13. Originally submitted by kkazmierski on 2018-11-10. 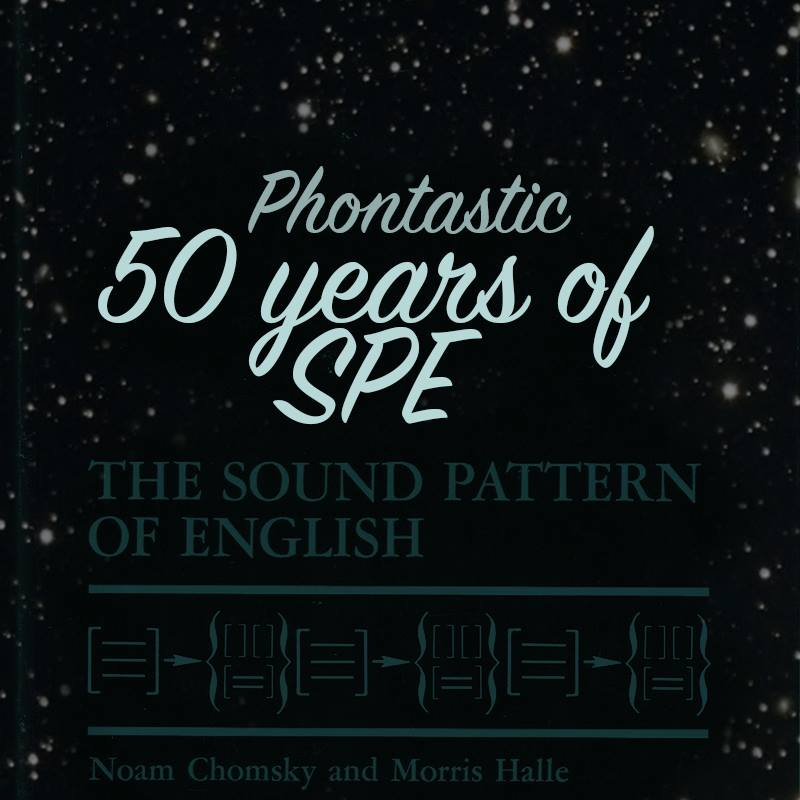 Chomsky and Halle’s The Sound Pattern of English published in 1968 is one of the groundbreaking works in phonological theory, with Anderson describing it as “by far the most comprehensive presentation and exemplification of the theory of generative phonology to appear up to that point (or since, for that matter)” (1985: 328). It elegantly explained phenomena which had caused problems for previous theories and many new frameworks have been built around conjectures presented in SPE. We’d like to warmly invite you to the first Phontastic meeting of this academic year where we’re going to celebrate the 50th (!) anniversary of its publication! In this workshop, you’ll first listen to a brief overview of the history of phonology that led to the creation of SPE. After that, we’ll take a look at the assumptions that Chomsky and Halle put forward in their joint work, to finally analyse a few phonological phenomena - from Polish and English - and explain them using the language of SPE on your own. The meeting is open to all BA and MA students, but it is especially aimed at the students of 3BA and 1MA seminars on Phonology. Wojtkowiak, Ewelina. 2016. "Features in Phonology" [Unpublished MA thesis, Adam Mickiewicz University in Poznań].